SJ. What is your current view on the impact of Brexit? CR. The impact on ADL is likely to be a bit of a mixed bag. We spend tens of millions of pounds sourcing components in the Eurozone so our costs will go up and at some point that will impact on pricing in the UK, although we’re taking steps to mitigate this as much as possible, working with suppliers and with our currency hedges. On the positive side, a Plaxton coach becomes more competitive overnight. Overall it is a net problem for purchases but overseas it should be a net opportunity over time. What is certain is that we’re going to keep buying a lot of European components. Personally, I would prefer a stronger pound. SJ. What do you think will be the impact of the Buses Bill. CR. In reality, anything that can encourage higher quality service and more bums on seats has got to be a good thing. However, talk of franchising creates uncertainty and when uncertainty is created, customers may choose to do nothing in the near term until things are more certain. Now it might be that in 2020 there’s a wonderful opportunity but manufacturing needs a steady diet. We cannot have boom and bust, so I’m quite sure the big groups see value in continuing to improve the customer experience through service level agreements. They continue to raise the bar, but I would guess they don’t like the uncertainty that comes with franchising. In terms of core demand, I use the analogy of baking bread. You can’t bake twice as much bread at the same time just by doubling the oven temperature. 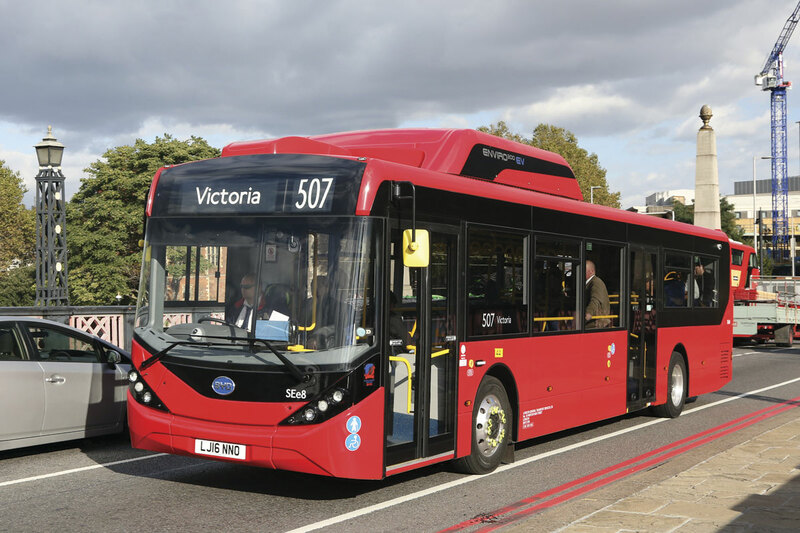 If the industry consumes on average 3-4,000 buses a year and in a good year it buys 8,000 buses but in a bad year, because of uncertainty it doesn’t buy any, then you don’t have a UK industry; it literally is impossible. It is harder to invest unless you have a steady workload. SJ. You have achieved turnover of over £600m for two years in a row. 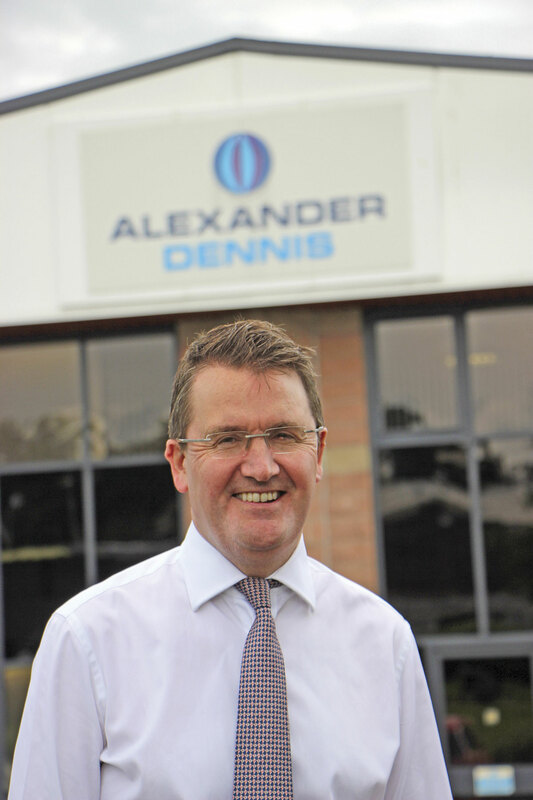 Do you see achieving turnover of £1billion by 2020 as more or less likely than a year ago? CR. If you don’t grow you die. Our business is founded on being ambitious and having very, very strong growth plans. The day I de-emphasise growth will be the day I need to move on. It was a hugely audacious goal we set back in 2012/2013, and it is still hugely audacious. Do we still have a line of sight to achieving £1bn? Yes we do. If we end up doing £800m or £930m or whatever, then I’ll still be delighted. We set that plan out, it was a combination of internationalisation, some organic growth and potentially some acquisitions. I don’t know what the future holds but what I do know is that our focus on products, on customers, on innovation and new markets is more alive and kicking today than it was a year ago and that will underpin our focus on getting to that £1bn. If it is 2021 before we get to £1bn, I’ll be fine with that!! I’m quite sure we’ll have competition. We’ve started to become a pain in some of their backsides. We’ve gone from being a rounding error to a reasonably decent market player and we’re in more markets. Double deck as a product is definitely picking up in attraction, not only in bus but also in coach because of the fuel burn per seat, the passenger experience, USB, Wi-Fi, the physical footprint. It ticks so many boxes. 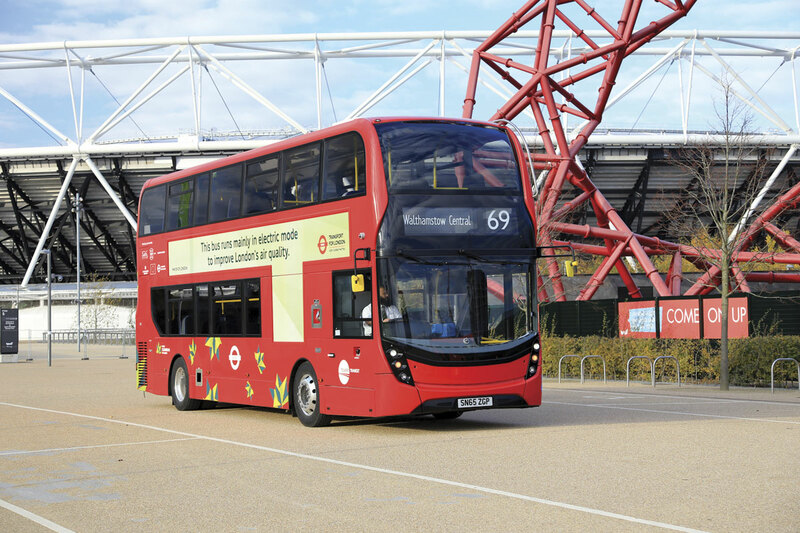 Double decks really are transitioning from a niche historic British or London product to a core part of the public transport armoury around the world. We need to create new markets, which we are doing, one at a time. If we go into one new market a year in a meaningful way and retain the key markets we’re already in and our customer relationship’s there, that’s enough to get us to £1bn. You’ll have heard me talking about building a four legged stool: North America, UK and Europe, Asia Pacific and aftermarket. A four legged stool is ultimately more stable than a one legged stool, which is what we used to have. We were way too dependent on the UK. It was like riding a unicycle and we kept falling off. We want to have a sustainable and viable business, with the right products at the right time. We can’t be a fair-weather friend and only turn up in the market when we think there might be demand. You have to sow seeds over time, and that’s what we’re good at. Also, we’ve broadened the product line-up so it’s easier to take one of our core products and modularise it or tailor it for particular customers or markets, but it’s absolutely not easy. I don’t ever want to go into a new market at the expense of a market we’re already in. SJ. 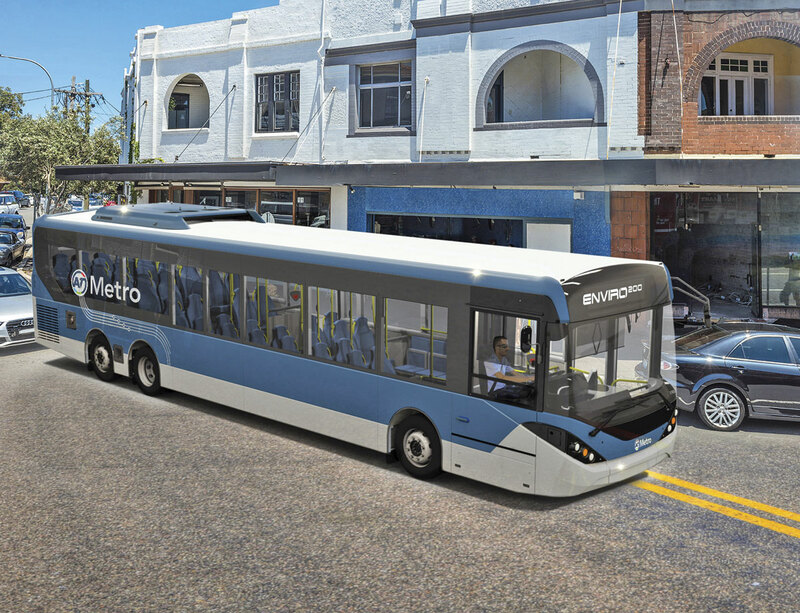 There are some signs of a re-emerging small bus market. Do you have any plans to develop products for it? CR. At this stage we have a very, very full product development agenda. All of our UK engineers, supported by our considerable off-shoring capability, have a huge agenda. It’s still a consideration but right now it isn’t towards the top of the list. SJ. On the aftermarket side we’ve seen some of your competitors suddenly realising that they need to catch up. How important to what you have achieved over the last few years has the aftermarket been and how important is it going forward? CR. It’s incredibly significant because in the UK bus industry and in the coach industry particularly it’s a village, a very small community. Five to ten big players buy 60-70% of all new bus registrations, in the coach market it’s a bit more fragmented. Price might sell the first bus but aftermarket support is what keeps the relationship healthy. For the most part on bus, operators will retain that asset for five, 10, 15 plus years, so you need to get things right. Be sure your sins will find you out. Be on the front foot. Have the right parts on the right shelves, have the right guys in the right places, GPS enabled and ready to support when needed. Equally, we have to support out customers with training courses in our facilities or at the customers’ premises. We have just launched AD Connected. This will simplify and streamline maintenance support. Our customers are offered many different solutions, even in terms of parts stocking, from pence per mile to stock order. We measure VOR performance incessantly and that drives a huge engineering, operations and procurement improvement agenda. I only have two meetings a month that my senior exec team must attend. One is a financial that ensures the financial health of the business, the other is a customer service meeting which ensures the customer health of the business. Are we perfect? Far, far from it. Are we focussed on perfection? You’d better believe it. We’ve had a good market share, consistently over 40% since 2010. I am healthily paranoid about the competition, because we have good competition, not just in the UK but internationally. We have invested first and foremost to get to a fair place for our customers. Our customers have always deserved better than they’ve got from the industry. We’ve tried hard to make up that gap and whilst we’re not there yet, I think our competitors are starting to recognise that it is absolutely critical to their well-being. One of the reasons we’ve launched AD Connected is to take us to that next level. SJ. Do you have a clear indication on the future of diesel. CR. I don’t have a clear indication but I do believe that fossil fuels will still be around when I’m not around. Diesel as a word almost needs to be rebranded because it’s seen as a dirty fossil fuel, but Euro6, in terms of after-treatment, SCR, EGR, emissions and everything that counts, has been a huge step forward. The whole emissions journey from Euro1 through Euro6 has. “Euro7” will no doubt take us to another place and continue to focus on fuel economy, weight reduction, carbon footprint improvements and emissions reduction. Generally the air quality and emissions emphasis will continue because city dwellers deserve better. The power train landscape is huge now. Twenty years ago it used to be diesel with an automatic or manual gearbox, that used to be it. Now we’ve got this plethora of drive train solutions. SJ. Electric: does the likely demand match the attention being paid to it? CR. I would say yes. 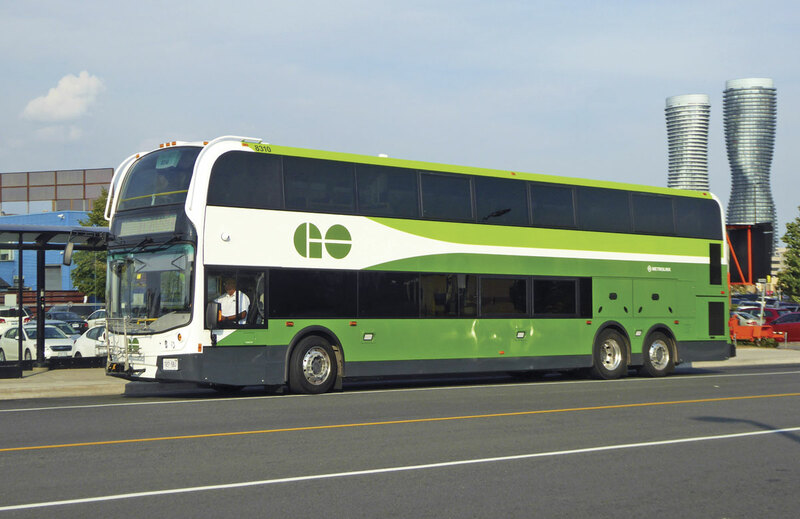 I think what has been absolutely incredible is the amount of focus we are seeing, and the Euro Bus Expo show is a good barometer from provincial operators who are really interested. The reason they’re interested is that they’re looking at a total cost of ownership model. Anything that improves air quality is high on everybody’s agenda. There’s no doubt about that because we want to leave a cleaner, greener planet than we inherited and we all should have some responsibility there, but when you start to look at the price premium, then you look at the savings in operating costs through the difference in buying power off the grid on a night shift versus buying fossil fuels and so on, provided that the battery range, the safety credentials and the extended warranty packages match the risk appetite of the operator, then yes, I do believe there is significant demand potential. With any new technology some people are happy to be observers. They are quite happy to be a close second, rather than being first, so it might take a few years before we see a hockey stick in demand but we’re working very hard to make it a key part of our product portfolio; it’s what we’re all about. SJ. Do you think opportunity charging is what people are looking for or are they really looking to charge overnight? CR. I think if you are in some European cities, where you’ve got the infrastructure and pantographs in place because there are trams running, that opportunity charging might make sense, so I wouldn’t say that it doesn’t have potential but I don’t think it has the same mainstream demand as overnight charging, because that is plug and play. If you need opportunity charging and you can’t access a charging point because of a diversion, then you’re caught between a rock and hard place. There are more things in my mind that might make it a tougher sell. If you can buy a bus that can be charged on a night shift, that has adequate range, that’s never going to run out of juice and over a three, five or seven year period it pays back, and you’re absolutely confident on that and on the battery life and so on, I just think technically that is going to be an easier sell as it makes sense. SJ. Where does the alliance with BYD go next. Double deck, coach, abroad or what? CR. We’ve been working with BYD for two years now and we’ve found them an excellent technology partner. There’s absolutely no doubt about that. Like any personal or business relationship it begins with small steps and so far we’ve had a great relationship. 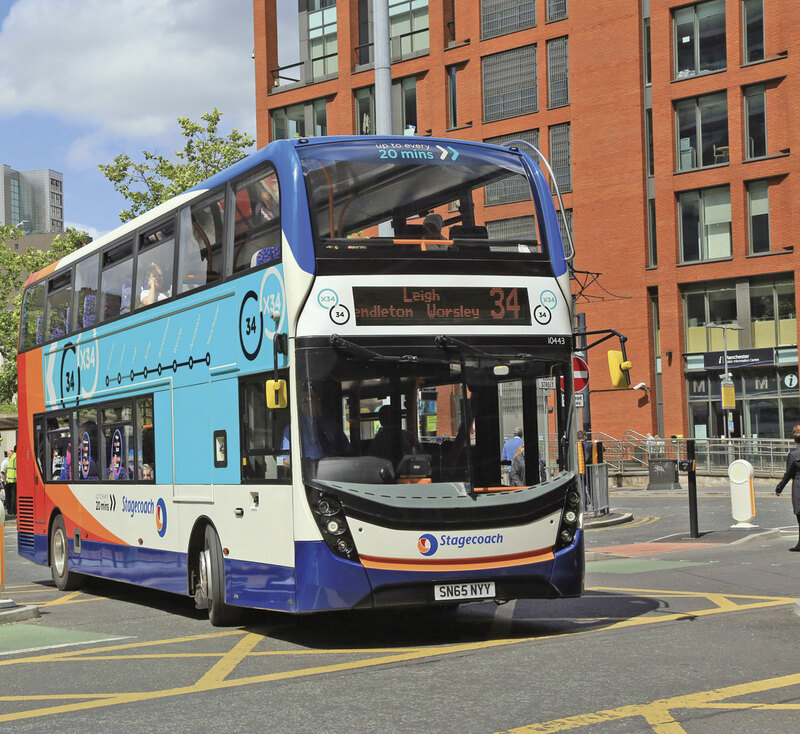 We’ve been delighted to work with them on this first 51 bus order and it’s great to see additional orders being confirmed or in the pipeline. Clearly a 12m bus has somewhat limited demand in many parts of the UK so it’s logical to look at other length options which we’re well on with. We’re also exploring two or three other product and geographic opportunities. The ink’s not far away from being dry so I can’t really say anything more than that at this stage. SJ. Do you see any potential for electric coach? CR. 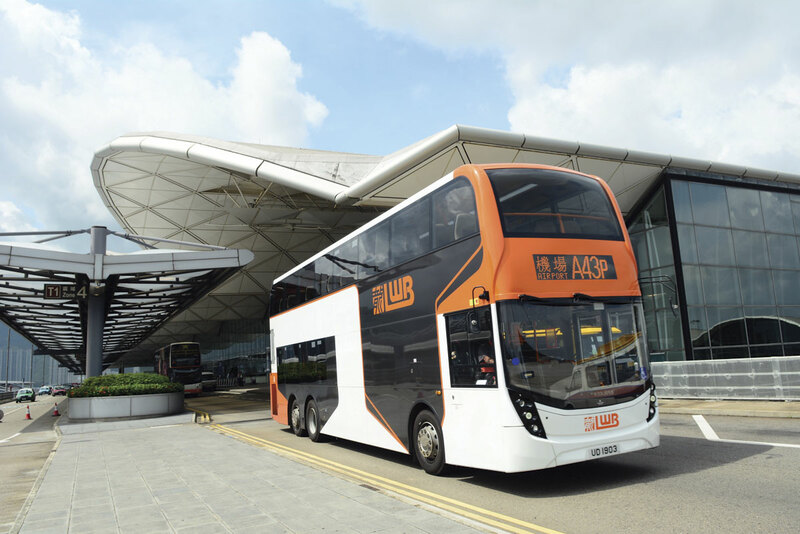 BYD are very comfortable with taking that technology into a coach platform. It’s not something we’ve explored just yet because we see the volume and the potential being much more around bus. SJ. In your opinion, how big a barrier is infrastructure to the new technologies? CR. 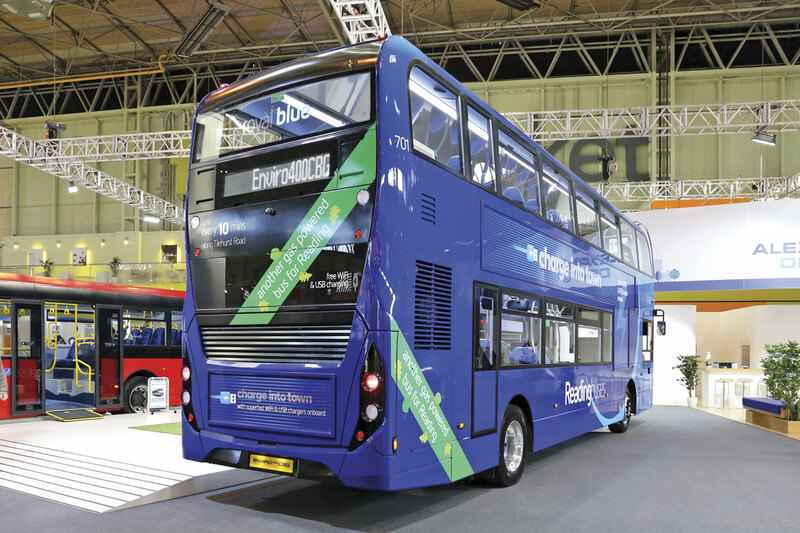 It’s not a barrier for a single order or a small to medium fleet because we can come in with our partners at BYD and SSE and beef up the connection from the grid like we did at Waterloo depot for Go-Ahead London where they are juicing up all their vehicles on the night shift. But it’s about scale and the grid itself, which obviously isn’t in our control. Buses lend themselves to electric operation but if 40-50,000 vehicles were all EVs we’d need one or two more Hinckley Points pretty quickly! SJ. How important is gas? CR. 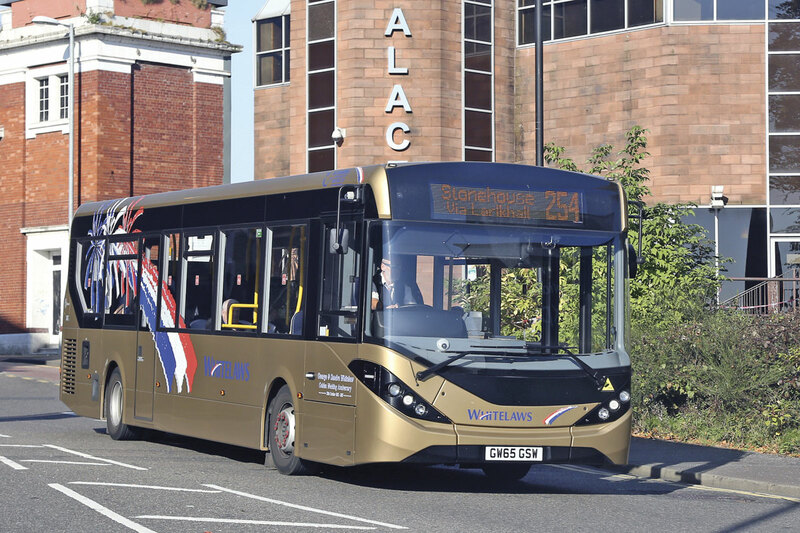 We’re delighted to be working with Scania and bringing the first Euro6 double deck gas bus to the market and to be partnering with Reading, the UK’s biggest gas operator and a phenomenal innovator. From our standpoint, gas is a key part of our arsenal. It may not be for everybody, less because of the propulsion technology and more because of fleet commonality and the investment cost though organisations like the Gas Alliance work really hard to demystify, de-risk and de-technify it. Just as they did with hybrids a few years ago, some people see it as a very meaningful step to lowering emissions. It comes back to some being pioneers and some following. They’ll watch what’s happening with gas, they’ll watch what’s happening with opportunity charging but they’ll keep their powder dry. SJ. Are you currently looking to expand the chassis range beyond Volvo for the big coach range and Mercedes-Benz Atego in the midi range? CR. We’re really excited about 2017. We’re working very hard with Volvo to really, really have a good year. We’ve got the right products, the right specifications, the right price points and the right people. Mick McElhone is effectively dealer principle now. Martin Dunleavy is back on used coach. 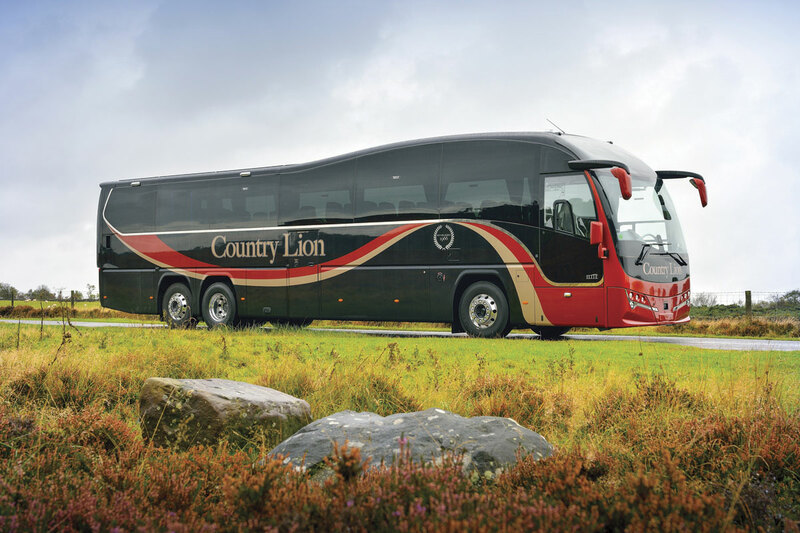 We have a re-energised coach sales team. SJ. Colin Robertson, Thank you very much.